Alana and Jonathan, featured in Beautiful Bride of Orlando, exchanged vows between one another on June 9th, 2012. 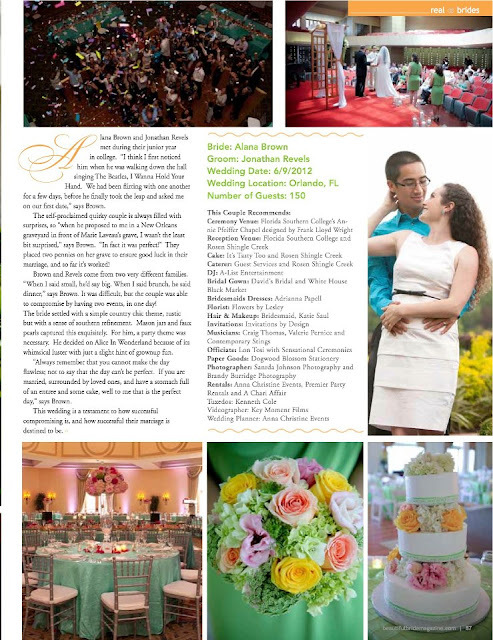 With an intricately designed wedding of a classic novel in mind, this couple contacted Anna Christine Events for their wedding planning expertise! 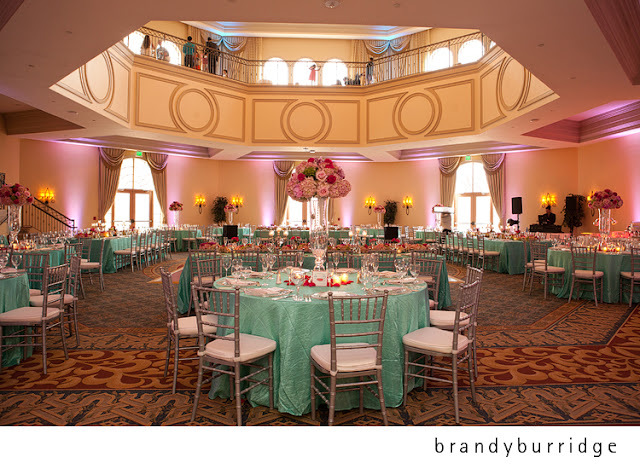 It was decided that Rosen Shingle Creek Hotel & Resortwould be the perfect backdrop for Brandy Burridge Photography and Key Moment Films to capture this tastefully creative wedding decorated in a color scheme of rose pink and teal. Both Alana and Jonathan held to mind very different ideas as to how their reception would be designed; Alana preferred a more intimate gathering with their closest friends and family, while Jonathan had his sights set on a large reception (upwards of 150 people!) designed with a theme in mind to essentially create a grand gala! Since both bride and groom had such differentiated views on how their reception was to be designed, we went ahead and created two separate receptions that catered to both Alana and Jonathan’s interests. 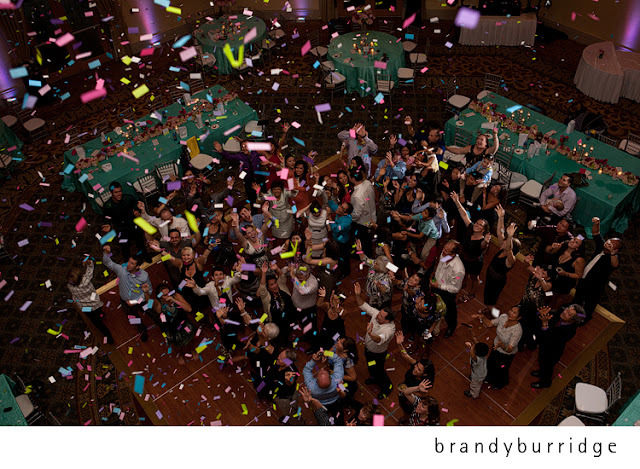 We first co-ordinated Alana’s envisioned reception of a small scale brunch with friends and family, and to follow was Jonathan’s grandeur “Alice In Wonderland” themed reception later in the night featuring dancing, and a much higher guest count! 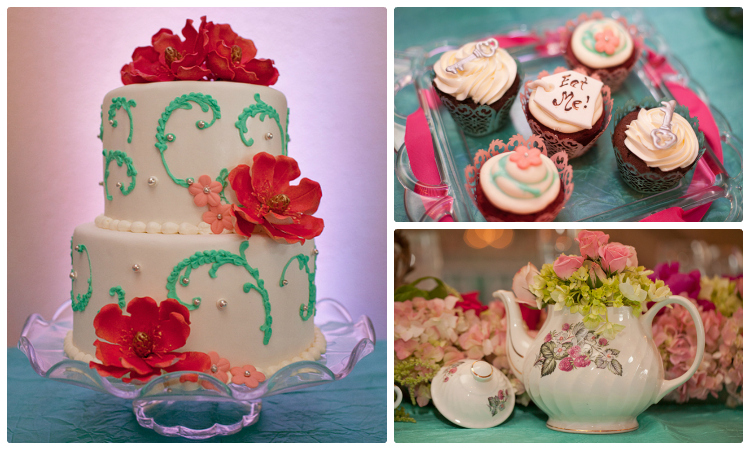 This wedding dived into the rabbit hole through an adaptation of ‘Alice in Wonderland’ evident in the decor’s design. 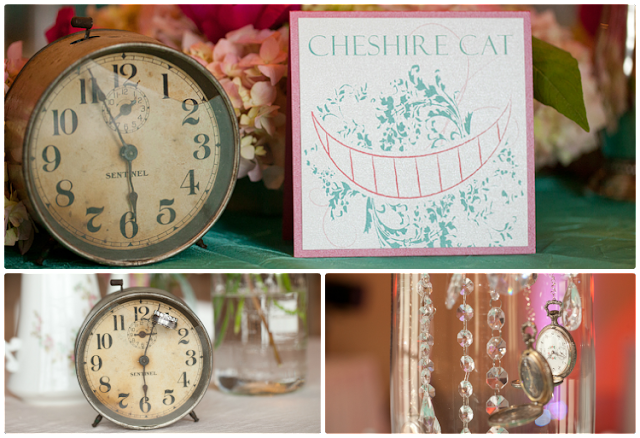 Pretty in pink floral arrangements of hydrangea, rose and greenery, designed by Flowers by Lesley, lined the reception tables with accents of miniature pocket watches and old-fashioned keys draped within the flower vases. 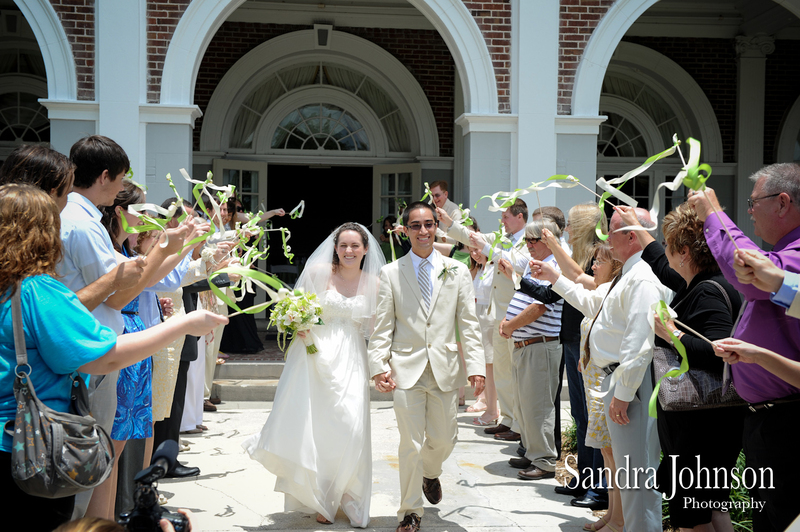 Alana and Jonathan recently celebrated their sixth month anniversary, December 9th 2012. We absolutely loved working with these two in creating their dream wedding of Wonderland proportions; Both were very involved in the design and vocal about how exactly they wanted this vision to be translated to the big screen, which helped us out tremendously! Congratulations to this newlywed couple, and may their marriage be as lively and enjoyable as their wedding ceremony and reception were! Chairs and Chargers: A Chair Affair, Inc.
Rosen Shingle Creek Wedding and Southern College Wedding from Key Moment Films on Vimeo.